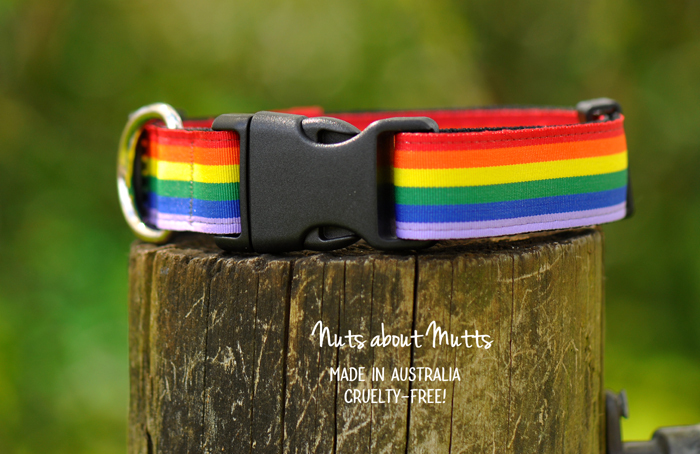 Wear your rainbow colours with pride! Strong ribbon stitched onto black webbing with an extra strong quick release black buckle. X-LARGE fits neck 50-60cm approx. Collar width 25mm. Need another size? 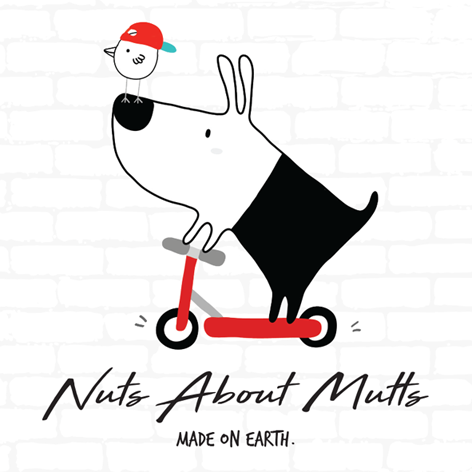 Email us at info@nutsaboutmutts.com.au and we'll make one up for you!